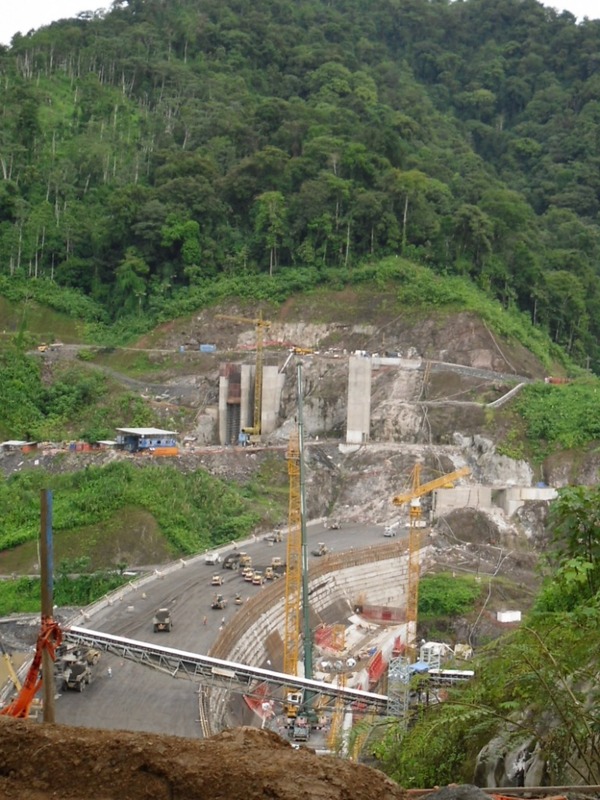 The Chan-75 Hydroelectric Project (HEP) has been constructed by Alliance Energy Systems (AES) Changuinola whose parent company is based in the USA. A total of $563 million has been invested into development of the project. Construction work began in 2007 and the project entered into the commercial phase in 2011. The area covered by the whole project is 6,215 hectares and it makes use of water from both the Changuinola and Calubre Rivers. The HEP is projected to generate a nominal power of 223 MW, which is “equivalent to the consumption of 1.5 million barrels of fuel per year.” Advocates of the project believe that it will help decrease Panama’s dependence on fossil fuels. Job opportunities: Over 800 Panamanians have been employed by the project. Creation of new services: services such as supermarkets, restaurants, launderettes and medical services have been provided for the communities of Bocas del Toro. Support for local supply businesses: AES has spent over $2 million on construction supplies and materials, buying 99 per cent of these products from suppliers in the Bocas del Toro province. Income for local institutions: in 2008, AES paid over $4,000 in taxes to the Municipality of Changuinola and the Ministry of Economy and Finance. AES Changuinola believes that “all parties are winners”. Sherly Diaz (2009) Hydroelectric Project: model of sustainable development, The Panama Post, 31 Aug – 06 Sept 2009, P.13.